New for SOLIDWORKS 2019 is the ability to save an eDrawings HTML file to allow a contact who doesn’t have CAD to view and interact with your CAD files inside their web browser. 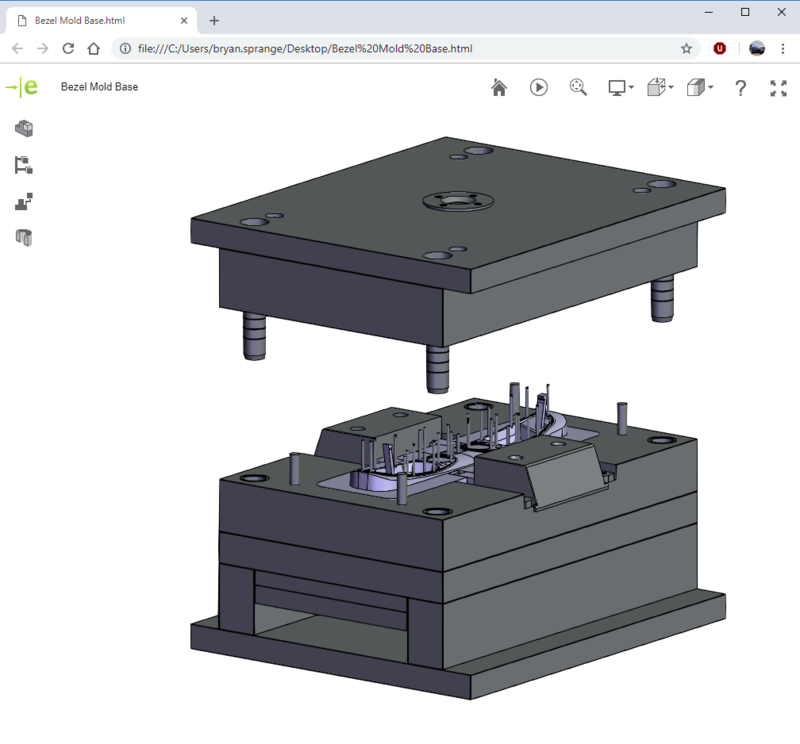 Previously, sharing a design with a customer who doesn’t have any form of CAD was more difficult as you needed to save the part as an executable eDrawings file. While this meant that the eDrawings viewer was included with the file, one issue with this is that some customers cannot open an executable file! It also means that the file is quite large as the installer for eDrawings is included along with your CAD geometry, often meaning that it can’t be sent as an e-mail attachment. The new eDrawings HTML format allows a smaller file to be sent which anyone can open and investigate. The user interface is simplified meaning that even non-cad users will be able to interact with the model and provide feedback. 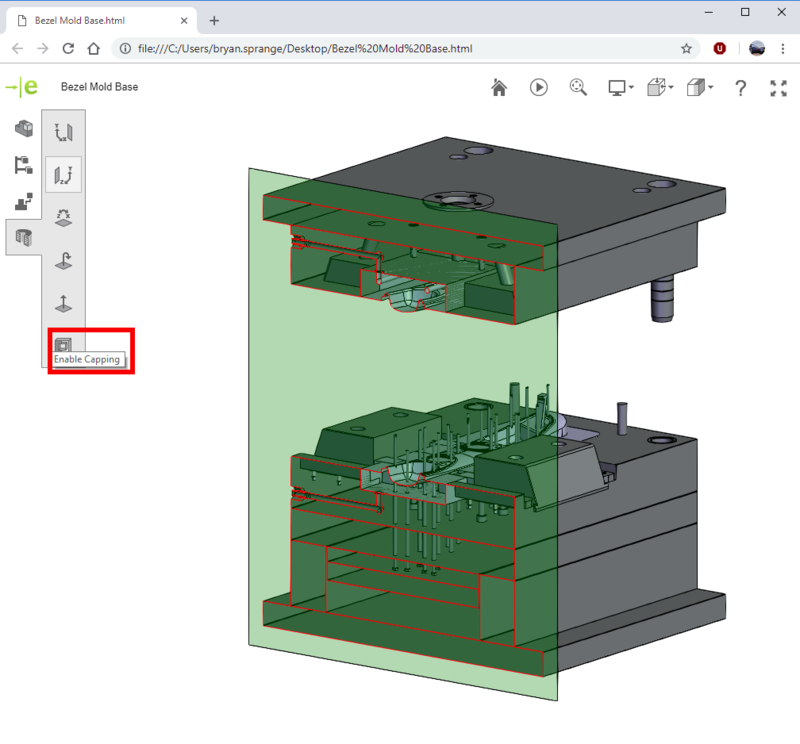 This simple and intuitive interface still has the ability to change configurations of the model or navigate through the feature tree to see structure while hiding and showing parts. The section view tool cuts through the model to see internal details and even has the option of adding end caps if desired. 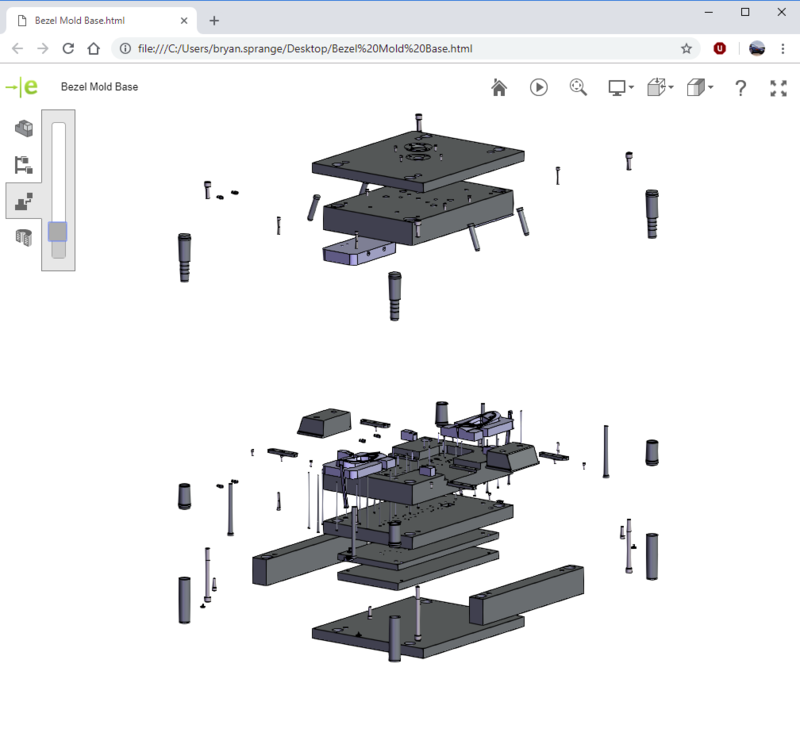 Exploded views are available in the eDrawings HTML file which can provide separation between components. Many of the familiar features from eDrawings are present such as returning to the “home view” and animating the sequence through views using the heads up toolbar. 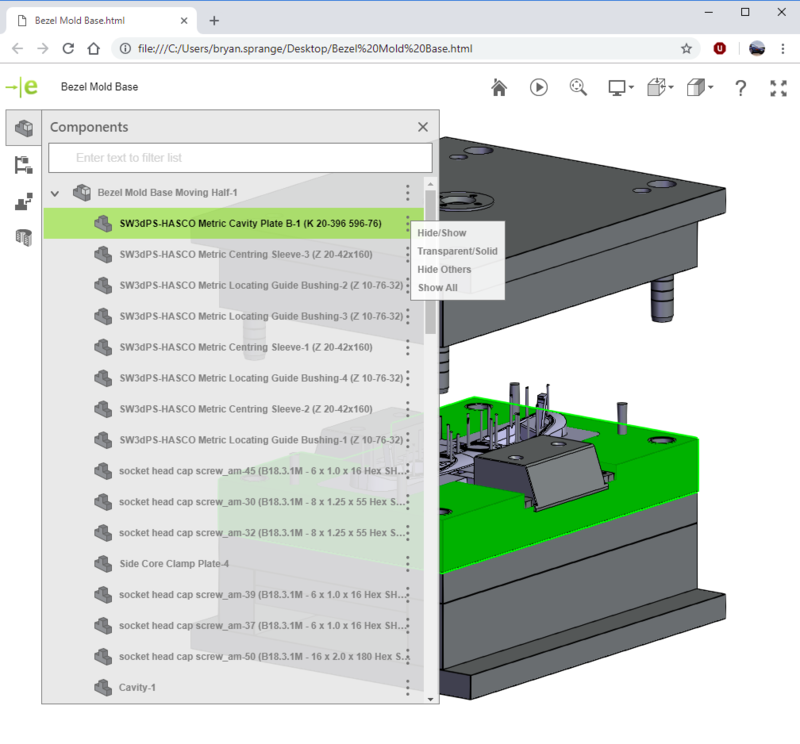 The new HTML viewer makes sharing designs with customers or suppliers who don’t have any CAD assets easier than ever due to the small file size and ease of use. Bryan Sprange is a Technical Solutions Expert at Javelin located in Winnipeg, MB., Canada. He has previously worked in the Aerospace industry as a Designer, and a Manufacturing Engineering Planner. Additionally, he has used many different CAD packages ranging from AutoCAD to CATIA. Bryan has a background in Mechanical Engineering Technology, and enjoys using all of the SOLIDWORKS features to their limits to find new and interesting ways to be efficient and accurate when helping customers with their designs.